A sunny day in Lake Oswego proved perfect fun for me and tea bud, Ann. First stop was Chuck’s Place on B Street. Great to see a display of Dammann Tea – the French tea from Paris that I introduced in Portland 15 years ago. Unfortunately, my favorites weren’t included in the inventory and even though Jasmine was on the shelf they weren’t serving it, so I opted for a black blend w/passion fruit. Ann had the Gunpowder. Both were okay – not the exquisite brew from the French brothers I am used to. 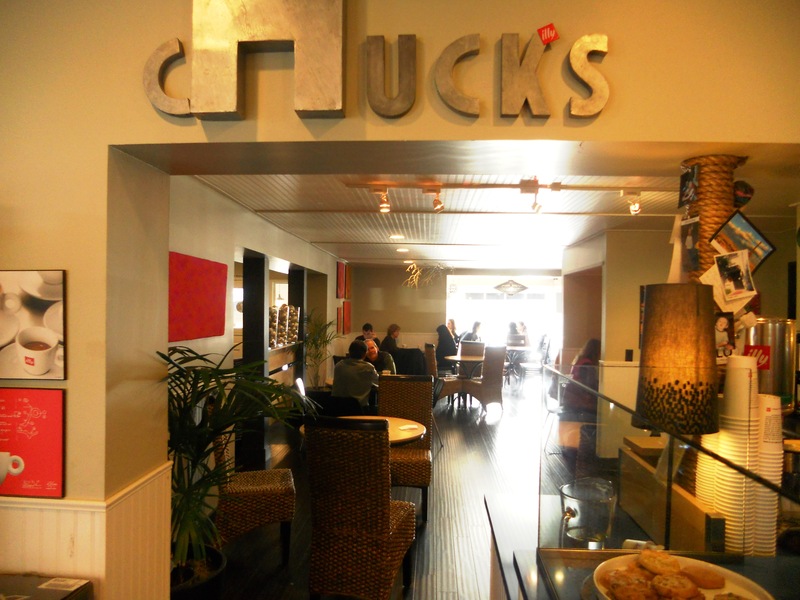 But Chuck’s is a spacious, sunny spot to enjoy a scrumptious maple oat scone and conversation. Lots of nooks and crannies for chats as well as long tables for larger gatherings. More on our exploring in the next post!